This is a time frame in which we need to take stock of where we are and where we are going in the Lord’s time-table – getting an eagle’s eye view of what God has been doing in our lives throughout the past year and where we stand in His plans and purposes for our lives. We have entered the Hebraic New Year 5777, denoting extraordinary grace (Number 5) to bring the fulness (Number 7) and completeness of the 7-fold Spirit in expression. The Word “Convergence” has been ringing in my ear for a while now and I see that those who have been earnestly seeking the Lord are now going to step into a convergence where everything that has been deposited in them through the Holy Spirit is coming together in great fruitfulness and effectiveness in this season to fulfill their ultimate purpose. Many have felt frustrated because they have been longing for fulfillment, not knowing exactly how to to implement their gifts, talents and expertise in perfect sync with God’s plans for their lives. But for those who have been seeking His face, walking in dependence on His leading, allowing the Holy Spirit to bring transformation in their lives (2 Cor.3:18) there is a convergence to step into their ultimate purpose. Everything is coming together now in a convergence with heaven’s plans and our readiness, having been molded in the Potter’s hand and having been forged in the fire of affliction to be made ready for use in His hands. The mature sons and daughters of God are arising to step into their predestined role, clothed in love and and the armor of light, wearing the apron of humilty. All that God has deposited in us by the Spirit in the form of gifts, talents, skills, impartation, endowments, wisdom, understanding and revelation are at a convergence point, coming together in fulness of expression of His glory for such a time as this for His glory demonstration and at the same time fitly joined together with others in the body who have been prepared likewise. It is like different streams coming together forming one great river of glory in the unity of faith. Great exploits will be done in the power of the Holy Spirit. I sense that the LIGHT WILL COME ON in a suddenly for many who have been in the “Pushing” stage of birthing their vision and there will be CLARITY of PURPOSE and fresh ALIGNMENT with others in the body who are like-minded to break through into fulness of our promises.New ministry teams are going to be divinely “put together” by the Holy Spirit in unexpected suddenlies. Many have been in pressing in for greater depths and heights in the spirit and I sense that we have come to a pivotal point with the Jewish celebration of Yom Kippur, the Day of Atonement. We as Christians are celebrating the glorious victory of Calvary today, knowing we have a High Priest according to the order of Melchizedeck who lives to intercede for us (Heb.7:17,25) having paid for our sins once and for all. We are worshiping the Lord anew for His immense love for us in His sacrifice. In this past year the Lord has very intensely schooled me in His love walk (still learning) and I know that it is the ONE thing we will be tested on, namely, “Did you learn to love?” (Bob Jones). Agape love is the principal empowerment for the extrordinary miracles that we are going to walk in. As I am writing this I suddenly had a quickening in my spirit, sensing Breakthrough into new avenues, new line-ups and new connections coming forth. It is happening NOW and as we can see it and align with it in the spirit realm, it will manifest in the natural. This “convergence” is bringing new line-ups by the Spirit with the like-minded being merged together for God’s specific purposes to be accomplished – being fitly connected to our “tribe” to accomplish God’s purposes in the earth, having no agenda of our own, walking in humility and love, shining His glory light into the world. 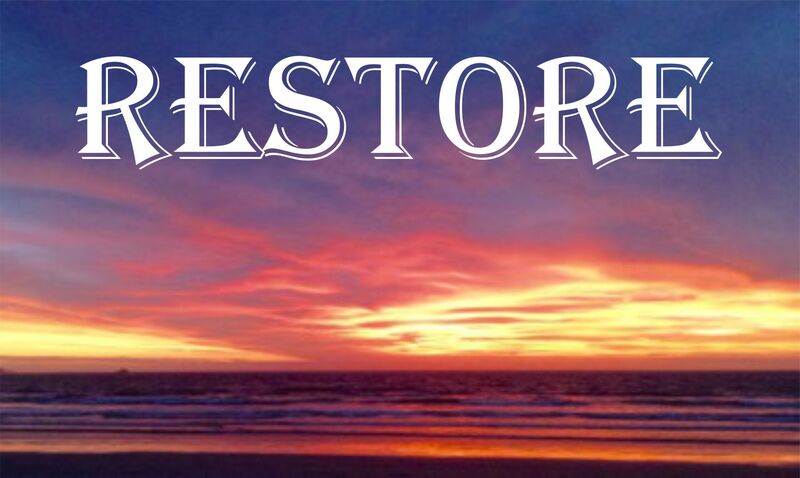 Although we are not under the law anymore, God does speak very prominently during His appointed feast times and we should incline our ears for wisdom and understanding during this important time frame – making adjustments and coming into a repositioning for this new year – especially listening for His instructions and watching where He is aligning us with others in the body who have the same vision and similar giftings. New measures of the anointing are about to be demonstrated by the Holy Spirit through those who have been faithfully pursueing the Lord, resulting in wondrous miracles. In order to flow with these “out of the box” demonstrations of God’s power we need to step out of our old limited mindset. It is a walk in the wisdom of total yieldedness (James 3:17) to the Holy Spirit, not questioning His ways, wanting to rely on the old way of doing things but ready to follow His leading in absolute obedience. Much has already been written on this, but I understand that, as we get saturated with the Word, abiding in the living power of it (John 15:7), as we abide in Christ, the power to release the “impossible” by the unction of the Holy Ghost will come into effect for everyone who believes. 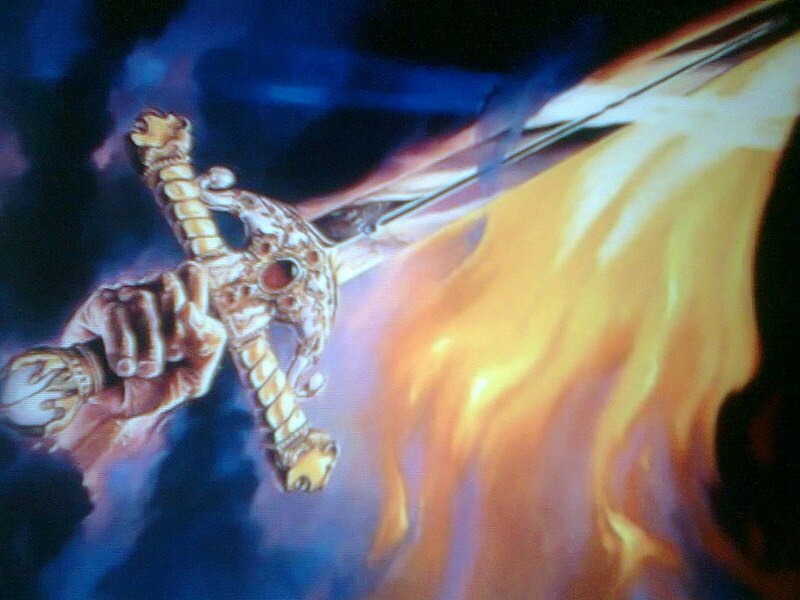 When the Word of God is absorbed into our spirt, and we become one with that Word by faith (the sword clinging to our hand), abiding in Him and abiding in His Word, we can ask anything and it shall be given to us. (John 15:7). As we speak out that Word, it becomes the Sword of the Spirit in our mouth (Eph.6:17), angels are put in action to perform God’s Word (Ps. 103:20) and the victory is secured, even with the spoils taken. That is how powerful God’s Word is! All we need to do is to incline our ear to hear what the Spirit is saying, come into agreement with it and release it into the airways! Hallelujah! I am praying that each of us (those reading this) be fine-tuned and connected to the Power Source to walk in the works which He has preordained for us. 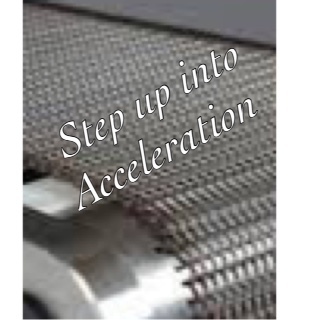 I recently had a vision of stepping on to a conveyor belt with chains, interlocking and heard the word “Acceleration”. I understood that for those who would “step up” into God’s call and provision for this season, there would be an acceleration and “at once” you would find yourself “on a different shore” (as you allow Jesus to come into your boat so to speak) in intimate relationship. The links in the conveyor belt denote the coming together of different events and people in your life, integrated to “convey” you to into your predestined purpose for this season. This is all by the working of the Holy Spirit. Our part is simply to “step up” into God’s divine provision in Christ, not missing our opportunity for such a time as this! It also speaks of a readiness for His suddenlies to step into miracles, signs and wonders, experiencing transportations and translations, having authority over the elements, etc. as those who believe will do the greater works.